Celebrate refinement with this excellent bottle of Chablis. You or your lucky recipient will love its well-balanced freshness with escargot, seafood, and goat cheese or as an aperitif. It arrives ready to drink, but if you prefer an aged wine, it's also ready to keep for 3 to 6 years. 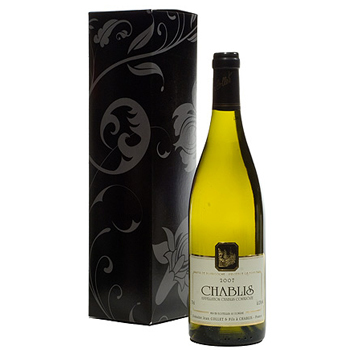 Make any dinner a special occasion with this special bottle of Chablis.